Being able to dodge those sneaky little Lego blocks scattered across your kitchen floor in several death-defying, yet graceful leaps is the number one benefit of obstacle training. What is obstacle training? Obstacle training (also known as military training) is a series of obstacles, including running, swimming, jumping, and climbing. It is usually used to judge the physical fitness of members of the military. Think this is something for you? (Pssst, you should totally try it!) 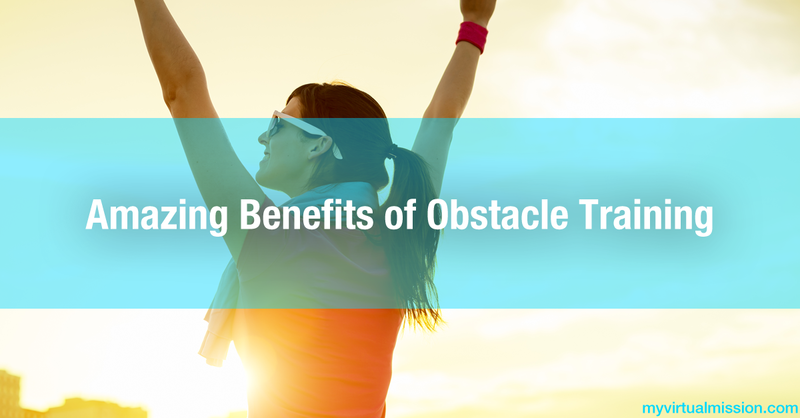 Obstacle training has many benefits. Fat burning, heart saving, AND muscle building? You can work out for a shorter period of time and gain more benefits than a 2-hour workout. What more could you want? Imitating real-life scenarios for a future mud run (like these ones!) help better prepare you for your race. You wouldn’t practice ballet choreography before a football game, would you? Obstacle training is measured by the time it takes for you to complete the course. The more you practice, the quicker you’ll get. Obstacle training can help improve a team’s ability to work together and improve their agility and overall physical fitness. If the idea of staring at yourself in the mirror while heaving iron over your head or kicking a ball to complete strangers in varying extremes of weather makes you want to stay on the couch, then try obstacle training. There will never be a dull day. If you’re a social butterfly, obstacle training builds bonds with people you know already (or complete strangers!) You will all be suffering (and supporting) in sweat together. You can make your own obstacles in your apartment, in your backyard or at a park. Grab some household items (pots and pans, sturdy chairs, and a ladder), some pylons from a sports equipment store, or snag a tire or two from a junkyard. Easy AND inexpensive! If you love the competitive aspect of fitness and want to try obstacle training, you can try the infamous O Course if you are located in Canada. Or if you are a visual learner, pick up the Obstacle Training Race Bible.